Lenovo announced its laptop lineup for 2018, and unfortunately none of these laptops will adopt an OLED display. 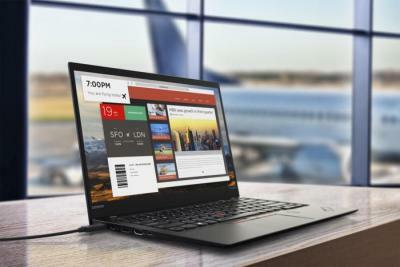 Lenovo launched its first OLED laptop in 2016 (the X1 Yoga, with an SDC 14" 2550x1440 AMOLED display) and updated this laptop in 2017 (with the X1 Yoga 2017 edition, with a similar display). IMHO the engineers who may have weighed in on embedding LTE support may have won out over the engineers who wanted to offer an OLED option. In 2017 these choices of LTE vs OLED were exclusive (you could not have both). In 2018, the LTE antennas are built in... assuming this was at the expense of OLED and that LG is using battery life as an excuse for their poor choice. Finally they support HDR, they drop oled! It's a real pity that they don't offer the brillant combination of an oled screen with hdr support!